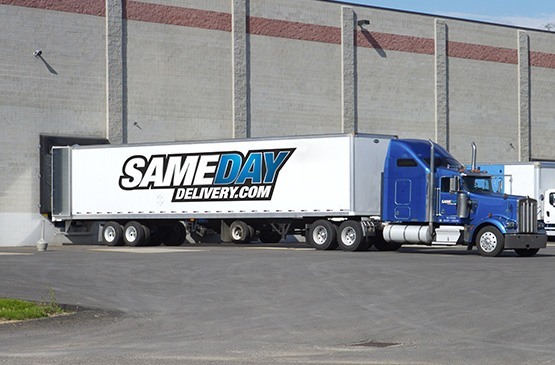 Prepare yourself for the worst logistical emergencies while meeting standard shipping needs with SameDayTrucking.com's swift, secure same day services. Being able to bounce back from emergencies is the hallmark of a successful business, and few emergencies are more devastating than logistical ones. SameDayTrucking.com has the resources and expertise to get you out of tight shipping situations at a moment’s notice. We provide same day trucking services throughout the US and Canada, taking care to meet your deadlines while keeping your goods in pristine condition. With our help, you’ll never have a shipping emergency that you can’t handle. Successful shipments are all alike, while every shipping disaster is disastrous in its own way. Perhaps your standard carrier got into a wreck and destroyed your goods in the process. Alternatively, they may have planned out their route poorly and ended up stuck on a congested road, adding hours or even days to the initial deadline. Or perhaps the problem wasn’t with your carrier at all, but rather with a customer who demands that you ship within a matter of hours and has the money to make you want to comply. Whatever the reason, sooner or later your business is likely to need same day trucking services. While many shipping companies claim that they can give you a same day delivery, not all take the steps to do this reliably. Carriers that have vehicles and drivers in only a limited number of locations may be able to provide same day trucking from those locations, but they won’t do you any good if your starting point is hundreds of miles away. Likewise, a carrier who fails to take proper safety precautions may get into an accident on the way to your destination; even if your goods remain intact, this can quickly turn a same day delivery into a shipment that takes the better part of a week. Unless a trucking company prepares for all these eventualities, they may well make a logistical emergency even worse. SameDayTrucking.com prepares for any source of delay and damage along all of our clients’ routes. We hire only the safest, most competent, and most courteous drivers, and give them the route planning and ongoing support they need to avoid obstacles. We also maintain vehicles and coverage in a wide range of starting points, so that we can load your goods within two hours and head straight for the destination. By taking these precautions, we keep ourselves equipped to handle even the most complex and challenging shipping emergencies. You can count on us to clear up your supply lines and keep your company running smoothly. Plan Around Obstacles - By tracking your equipment during its journey, we can look out for road closures, traffic jams, inclement weather, and other contingencies that could cause your goods to be late. If we find any, we will contact the driver and let them know, and will then set to work planning a route around them. This method allows us to keep delays as short as possible, maximizing both the speed and the predictability of our services. Respond to Emergencies - Despite the skill and commitment to safety of our drivers, the occasional road accident is unavoidable. When this happens, time is of the essence to dispatch a new vehicle that can pick up your goods and continue the journey. Because we track our trucks at all times, we will know exactly where to send the vehicle. This minimizes both the chance that your goods will be damaged and the length of the delay that an accident can cause. Keep You Informed - Whenever you need an update on the location of your order or its estimated time of arrival, our tracking equipment allows us to provide this information as precisely as possible. SameDayTrucking.com leaves no stone unturned in eliminating emergencies and ensuring quality shipping. For more information or to schedule an order, contact us today at (800) 713-1000.